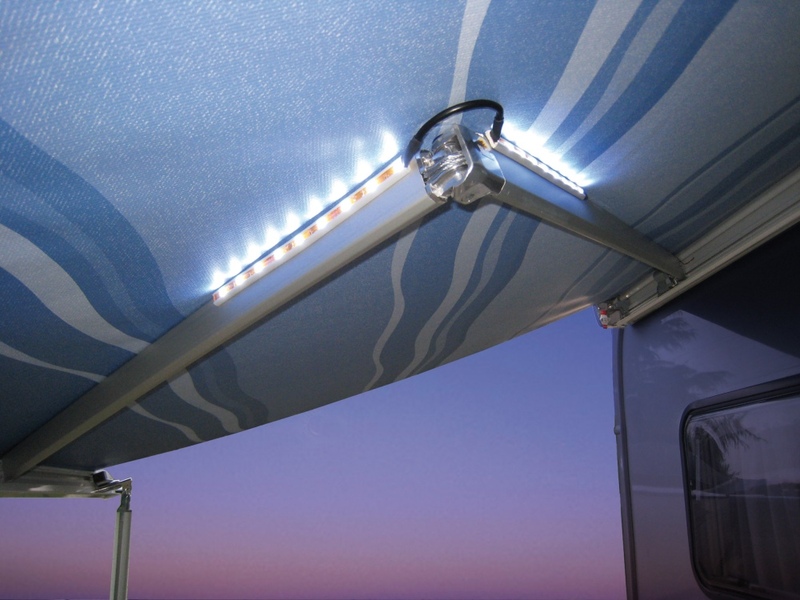 LED lighting system composed of 4 LED light kits mounted into sturdy supports and easily attached to the awning arms. 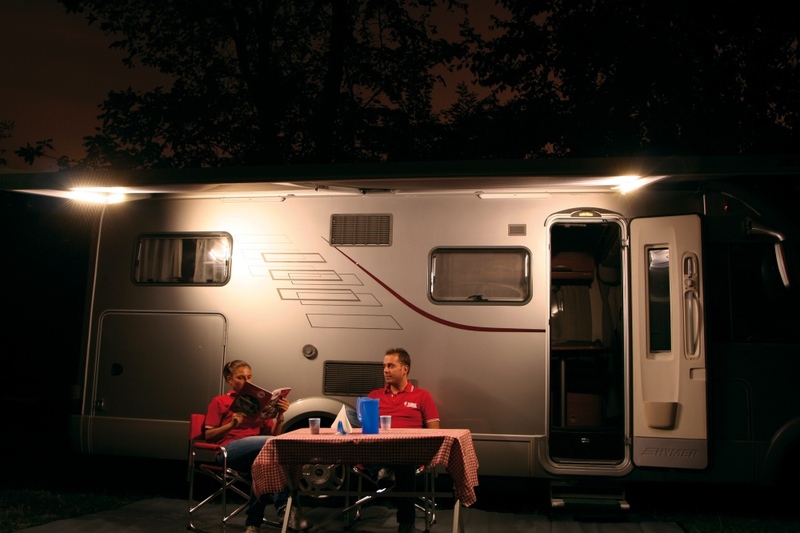 The compact dimensions allow them to stay mounted, even when the awning is closed. Complete with 5 m of cable for rapid connection. 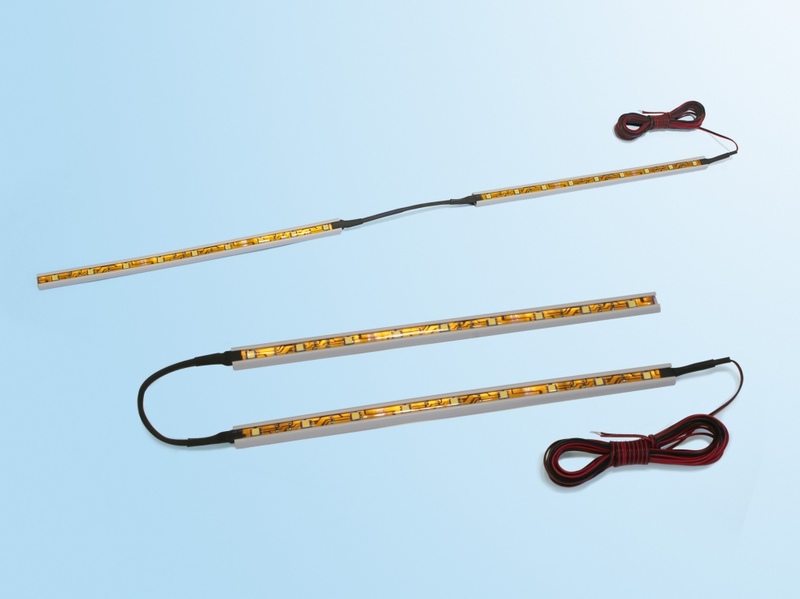 Dimensions of each light kit: L300xW17xH7mm.